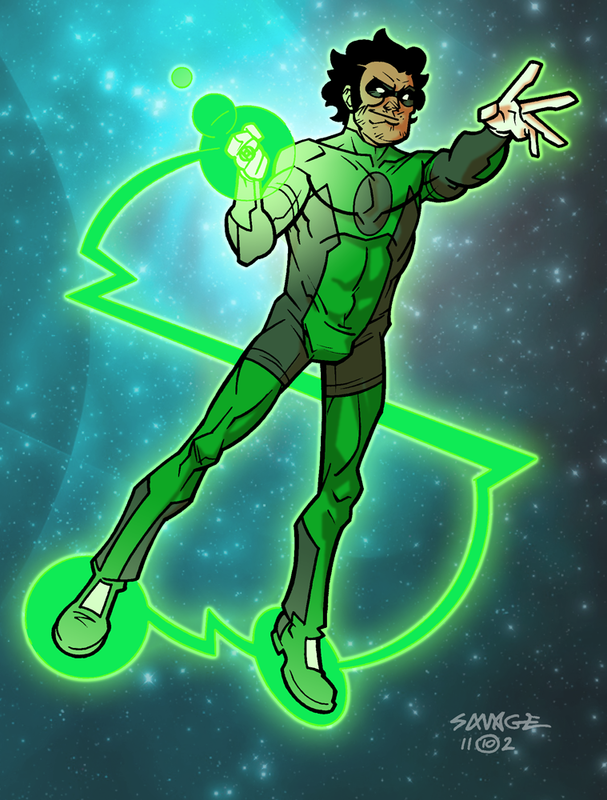 Was warming up today and drew my character Eddie as a Green Lantern. 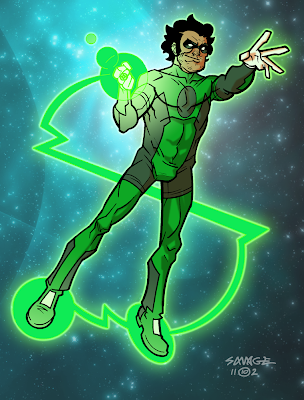 He is not a very responsible nor heroic individual, so it tickles me to see him striking this pose in GL garb. The circle discs on his feet are a nod to Mister Miracle, because I LOVE THOSE DISCS. I know GLs don't really need those to fly around. We'll just pretend Eddie doesn't know exactly how the ring works, ok? I guess this is a 2-day late Halloween-ish thing, now that I think about it.